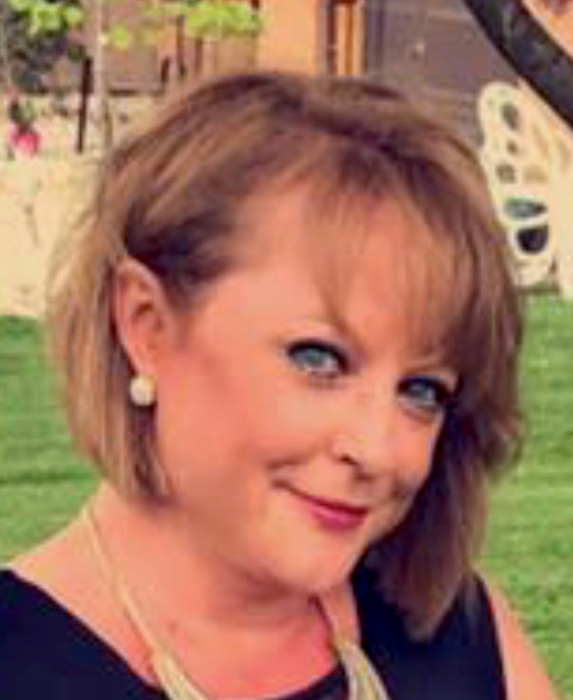 | 1601 E. Norris Dr.
Jane C. McLaughlin, 48 years old, passed away unexpectedly on January 22, 2019, leaving a massive hole in the hearts of the people she loved. Jane was born August 7, 1970 in Streator, Illinois to Jim and Gillian Kooi. The caboose of the Kooi clan, she was full of life and always getting into mischief. A tomboy at heart, she could often be found running around the neighborhood with other kids or climbing trees. After graduating from Ottawa Township High School in 1988, Jane went to IVCC, becoming a Licensed Practical Nurse (LPN). In that role, she worked at Ottawa Pavilion and Pleasant View, as well as the office of Dr. Richard Schmitz at the Ottawa Medical Center. She was busy though, because in 1991, Jane married the love of her life, Tim (Ottawa), who loved her more than she could ever know. In 1992, Jane gave birth to twin boys, Nick (Ottawa) and Josh (Sanford, ME), who absolutely adored her. She was an amazing wife and mother and will be missed beyond belief. Janey always loved a good challenge, so in 2006, Janey made a career change, enrolling at IVCC and later, Illinois State University, earning her bachelor degree in Special Education in 2010. Teaching was her calling. Mrs. Mac loved her job. She was dedicated to it, often spending hours a week lesson planning and creating activities to meet the needs of her students. Her teaching career began at LaMoille High School, followed by a five-year stint at Grand Ridge Grade School, before settling in at Circuit Breaker in Peru. Mrs. Mac was tough, but attacked her job with an enthusiasm unknown to mankind. Mrs. Mac never believed there was a bad student, just bad situations, and touched more lives than she will ever know. She simply saw the good in each of her students. Jane, Janey, Mom, Mrs. Mac, Janez was full of life. Her favorite moments were sitting on the patio enjoying the warmth, sunlight, and an ice cold Coors Light or Michelob Ultra with her family and friends. She was the best person to talk to about life. She had wisdom, humor, and love that was unparalleled. Simply put, Janey (or Mom) always made everything better. She loved to fish and was often found with a book nearby. She loved football and wishes that she would have been able to play the game, but tackled vicariously through her kids. She was both the rock and the glue of the family. She was loved and cherished. Janey leaves behind her husband, Tim, her twin sons, Nick and Josh (Jimmy), her parents, Jim and Gillian, a sister Diana (Paul), a brother, Rob (Tricia), her grandmother, Myrtle, her dog, Dexter, and a classroom full of students, whom she loved deeply. Although we are devastated with her sudden passing, a part of her lives on in each of us. She wouldn’t want us to be sad for long, but celebrate the moments we shared with her. Although the void will remain in our hearts and we will miss her daily, we have the hope in the finished work of the Cross that one day we will be reunited in Heaven with our sweet mom, dear wife, loving daughter, caring sister, devoted teacher, and kind friend. Funeral services will be held at 11:00 a.m. Tuesday, January 29, 2019 at Deer Park Community Church with Pastor Paul Robinson and Pastor Sherry Stevenson officiating. Interment will follow in Deer Park Cemetery. Visitation will be from 4:00 p.m. till 7:00 p.m. Monday evening at Gladfelter-Roetker Funeral Home. Pallbearers will be Josh and Nick McLaughlin, Jimmy Danielsen, Brandon Schumacher, Jared Mundt, Josiah Haines and Tom Myer. Honorary pallbearers will be Rob Kooi, Paul Huffman and Ron Chismarick. In lieu of flowers, memorial contributions may be directed to the family for a memorial fund to benefit the students at the Circuit Breaker in Peru.